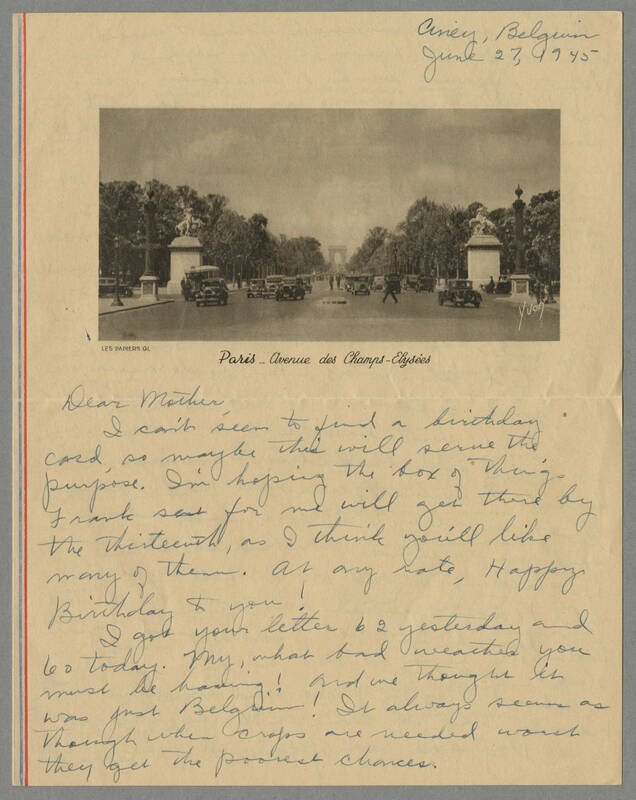 Ciney, Belgium June 27, 1945 Dear Mother, I can't seem to find a birthday card, so maybe this will serve the purpose. I'm hoping the box of things Frank sent for me will get there by the thirteenth, as I think you'll like many of them. At any rate, Happy Birthday to you! I got your letter 62 yesterday and 60 today. My, what bad weather you must be having! And we thought it was just Belgium! It always seems as though when crops are needed worst they get the poorest chances.